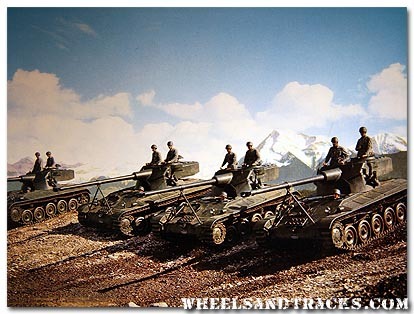 A platoon of Leichtpanzer 51 (AMX-13) in front of a spectacular scene. 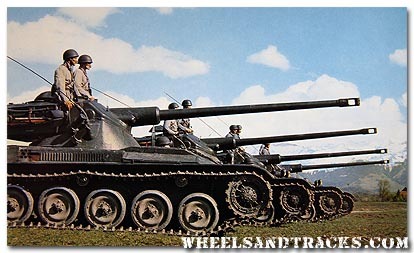 Leichtpanzer 51 (AMX-13) at a shooting range. 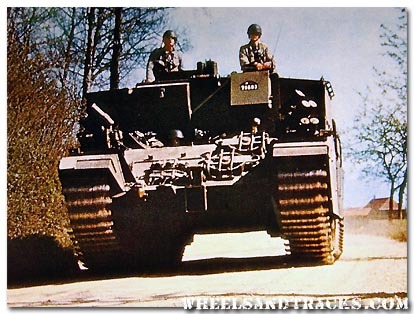 Every tank column was followed by an Entpannungspanzer 56 (Centurion ARV). 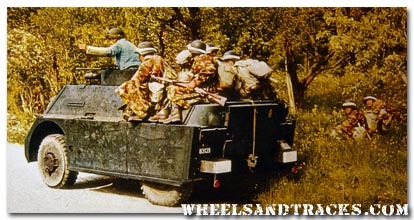 Panzergrenadiers (tank hunters) used the British Universal Carrier T16 as their main transport. Over 300 units were bought. 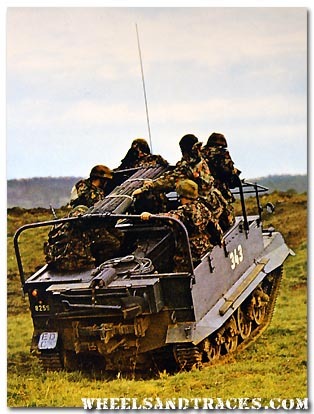 To avoid damage to the ground and to train the soldiers in tank defense, Mowag developed a purpose built dummy tank, the so called "Panzerattrappe". Built between 1954-62 and had a crew of 2, could carry another 6 on top.